We had a great time with Jam In the Van - playing songs from the new record, For The Morning, for them when we were in Austin for SXSW. 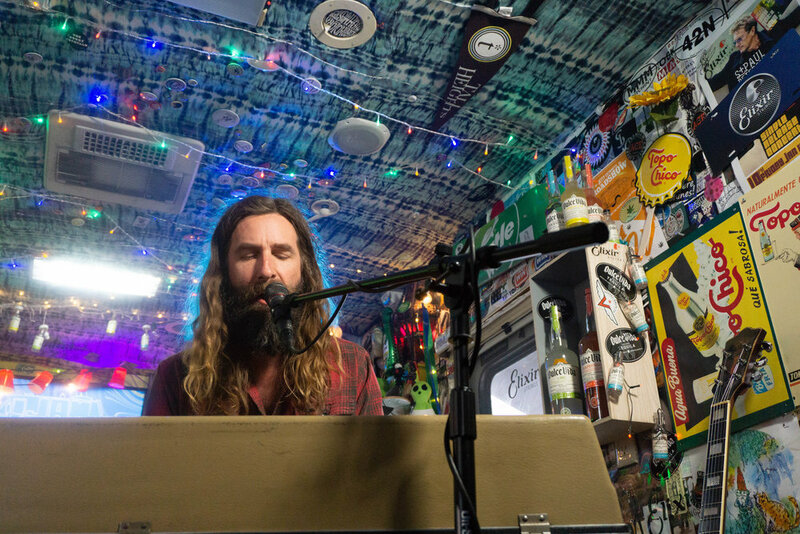 Watch Tyler Ramsey at Paste Studio Austin, live from the Riverview Bungalows during SXSW. New album, For the Morning, out April 5 on Fantasy Records. Pre-Order HERE. Why We're Excited: Tyler Ramsey has reached his widest audience during the years he spent as a guitarist and songwriter in Band of Horses, though he's also enjoyed a creatively fruitful solo career dating back to 2005. Sometimes, that solo work has sounded like the beardily searching, Fleet Foxes-style ballad "1000 Blackbirds," but on his new single "A Dream of Home," the singer and multi-instrumentalist finds a sweet spot that brings to mind the lush folk-rock rambles of Damien Jurado.